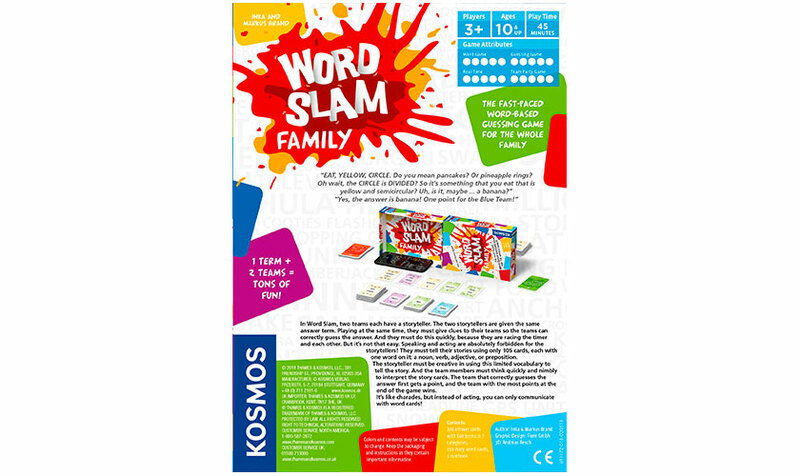 Word Slam Family has all the fast-paced fun wordplay of the original hit game, but in a streamlined, compact format. 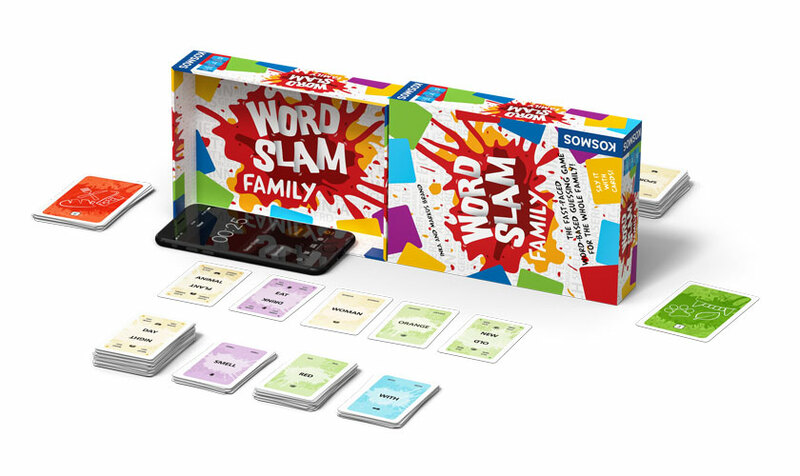 This version includes 100 story word cards and 100 answer cards, with a total of 600 answer terms in four difficulty levels. 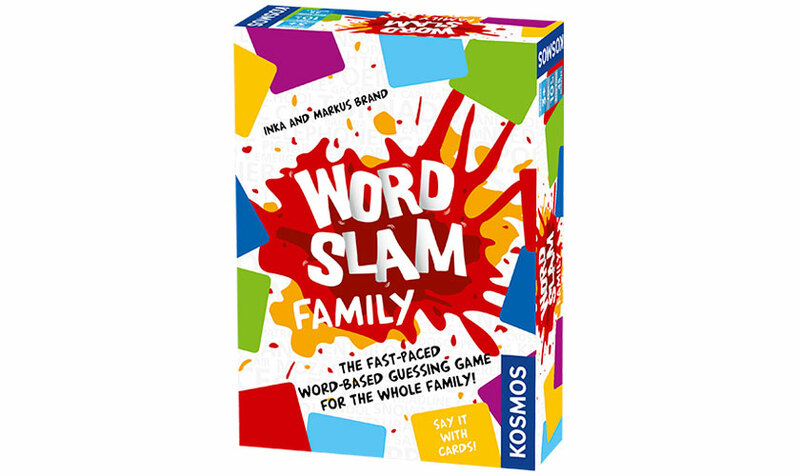 It includes easier, family-friendly answer words suitable for families and groups with kids ages 10 and up. In this version, the die and timer is replaced by an app. Instead of using card holders, the two box halves are used as screens between the teams and the answer cards are played behind the screens. This game can be played both as an expansion to the base game and as a stand-alone game.